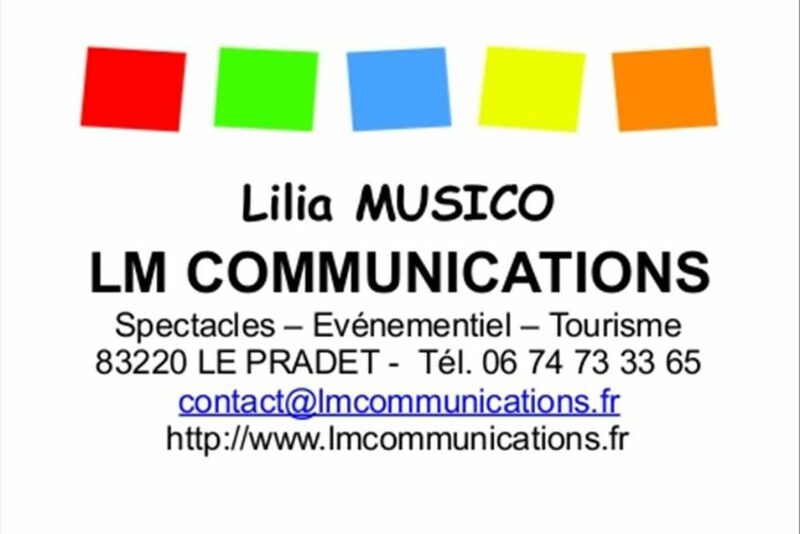 LM COMMUNICATIONS, whose head office is in Pradet in the Var, is a company of event communication. We puts our skill and know-how in your service and realizes on your place what you would like to make yourself: since your idea until the conception and the realization. We organize your events: seminaries, general assemblies, open doors, shows and dinners cruises. •	Music •	Dance •	Theater •	Magicians and clowns •	Video shows BABIBOU .